Gamma seals (also known as Axial face seals) are used to protect bearings and conventional radial seals in dirty and demanding applications. They can be used as a primary seal for grease, oil, and against water splash, dirt, and other contaminants. In addition, Gamma seals can be used as an auxiliary dirt seal to protect other radial-lip seals. A Gamma seal is made up of an elastomer sealing lip contained in a metal carrier. This design copes with arduous static and dynamic conditions in mobile hydraulics and power transmission applications. They tend to function on a rotating or stationary shaft, but not an oscillating one. Like a v-ring, a gamma seal mounts directly on a shaft and seals axially against either the housing or the metal case of a shaft seal. By incorporating a metal case into an axial face seal, they can seal out heavier contaminants than a V-Ring would be able to. 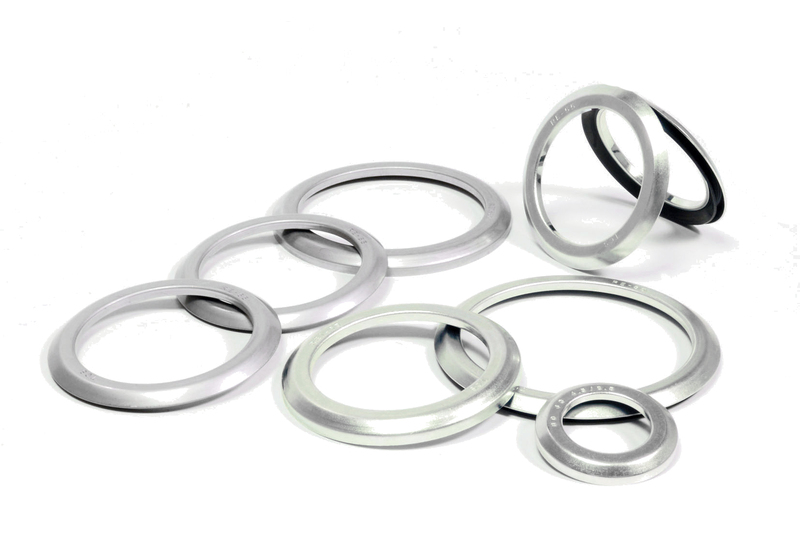 However, unlike V-Rings, gamma seals are not completely elastic due to their outer metal case. These seals are used in a wide range of applications. They are attached to rotating shafts for sealing axially against perpendicular faces. The two part seal comprised of an elastomer sealing member and metal case, is intended to seal against foreign matter, liquid splatter, and grease. They are produced in shaft diameters from 10mm and 125mm. To find out more information on our products, please visit our Downloads section. Contact us to discuss your requirements. We are here to help you select the right seal for your application. Simply phone us or send us an email.